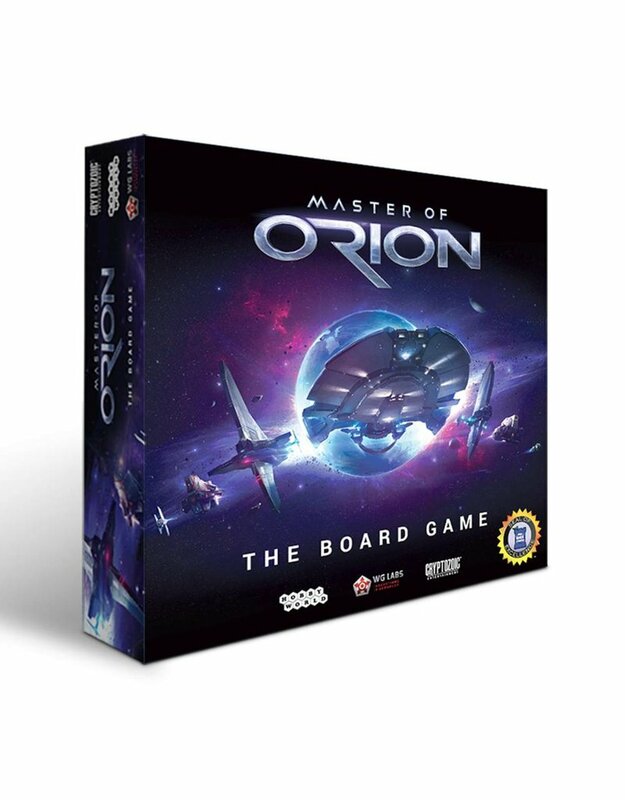 In Master of Orion: The Board Game, each player begins with a board that has four tracks: Food, Fleet, Production, and Loyalty. The starting numbers on these tracks depend on the race a player chooses, with choices including fan favorites the Darloks, Psilons, and Humans. Each round, players gain resources and a number of actions, as determined by their board. Players spend their action cubes on each turn to manage their resources (Food, Fleet, Productions) and build systems. Since this is a tableau-building game, players use the cards in the deck to build up to four systems, each comprised of a maximum of five cards that represent various Structures, Ships, and Planets. Victory Points are gained by playing cards, creating matched sets, attacking opponents, and having certain resources and cards at the end of the game. The game’s end is triggered in one of three ways: when a player has 0 Loyalty, a player has five cards in each of their four systems, or eight rounds of play have been completed. There are different paths to victory as players can focus on military means—training spies and attacking alien planets—or the path of creation—controlling the weather and constructing space fleets. The winner is the player with the most Victory Points, who is deemed the leader of the most developed civilization and therefore appointed as the Emperor at the Galactic Council.